You can check the warm Wilmot collection (for both dogs and humans) here. 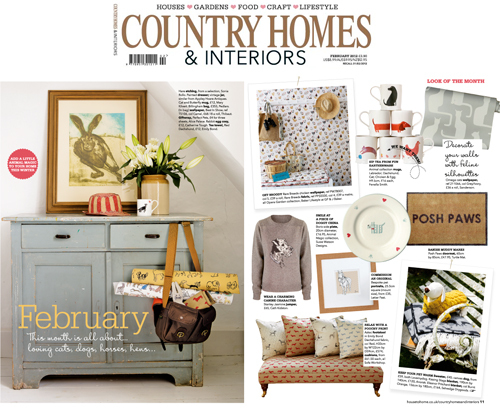 February’s Country Homes & Interiors magazine features an article all about loving cats, dogs, horses and hens. Now whilst we are big fans of all animals and do have some lovely gifts for cats, our range of dog couture will certainly not be suitable for hens. Or horses for that matter. 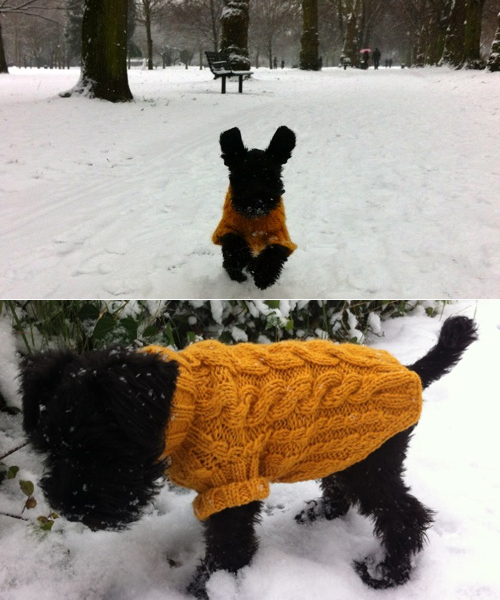 But if you want to keep your pooch warm and stylish then why not have a look at the yellow Wilmot cable-knit dog sweater as seen in the lifestyle magazine.